Boko Haram’s ongoing insurgency in northern Nigeria has forced the closure of more than 57 percent of schools in Borno state, leaving about 3 million children without an education as the school year begins, the United Nations Children’s Fund said Friday. “Children in northeast Nigeria are living through so much horror,” said Justin Forsyth, UNICEF’s Deputy Executive Director at the end of a three-day visit to Maiduguri, the epicenter of the crisis in the northeast. Banki, on the border with Cameroon, has been reduced to rubble. The continuing insecurity in the town of some 40,000 refugees means that women gathering firewood from the forest must be accompanied by soldiers, said Forsyth. Kids in Banki sit on floors in thatched buildings with broken blackboards and shards of chalk, he said. “Even though the first task is to save children’s lives from pneumonia, diarrhea and malnutrition, we also want to make sure children keep learning and get back to school,” Forsyth told The Associated Press after visiting Banki Thursday. 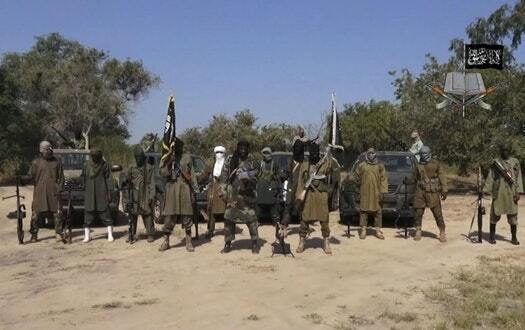 The border village is about 133 kilometers (83 miles) southeast of Maiduguri, the Borno state capital. Some 10.5 million children are out of school throughout Nigeria, he said, but the insurgency has affected Borno state most acutely. Nearly 2,300 teachers have been killed in Nigeria’s northeast since 2009 by Boko Haram, whose name in the local Hausa language has been loosely translated to mean “Western education is a sin.” Nearly 1,400 schools have also been destroyed, said UNICEF. “Even in the midst of conflict we need to make sure that children keep learning. It helps them overcome trauma,” he said, adding that many children there have been kidnapped and have experienced violence. Two young boys told him about being kidnapped, watching people be killed and being forced to work for Boko Haram under threat of beatings and abuse. “These boys are deeply traumatized. They are being supported to overcome that situation, and when asked what they most wanted, they both said to me they wanted to go to school,” he said. The extremists’ eight-year insurgency has killed more than 20,000 people in the Lake Chad region, and displaced more than 2.3 million. Casualties have doubled in the past five months in Borno and Adamawa states because of increased suicide bombings, many carried out by young girls, Amnesty International has said. “The use of children as human bombs — close to 100 so far this year — has sown a climate of mistrust among communities in the northeast,” the U.N. agency says. UNICEF has been able to enroll nearly 750,000 children in school this year in northern Nigeria, it said, establishing more than 350 temporary learning spaces.